Made of high quality genuine leather.Polished nickel hardware.Allows the dog to have relaxed movement of muscles, makes it flexible and efficient.1/2" wide, will fit 10"-13" chest. Spoil your pet. 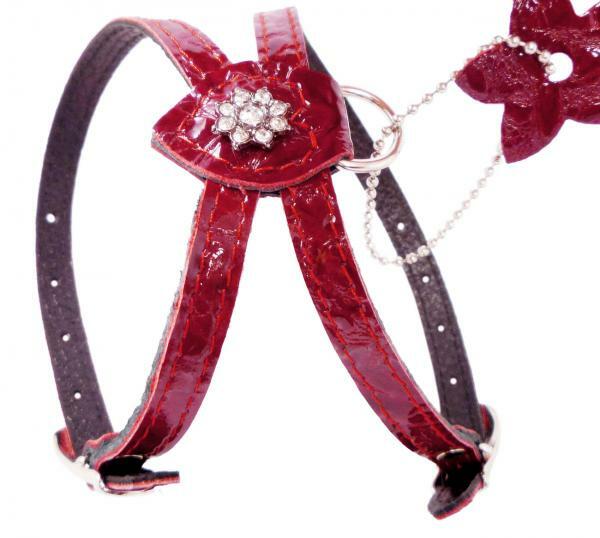 Exclusive quality, light weight.This made of 1/2" genuine leather beautiful harness will certainly make you and your dog happy - perfect attire for your dog. Suitable for smallest breeds - chest circumference 10"-13".